Images of busy city scenes. Thomas Rose, a municipal adviser to the mayor of Da Nang: "The population of the city of Da Nang has doubled in the past 5 years to its present level of 1/4 million. A large part of the refugee flow is caused by VC activities." Facilities are being redeveloped to handle the needs of the growing city and to provide a contrast between life under the GVN (Government of the Republic of Vietnam) and the VC. Shows street and market scenes in Da Nang then Thomas Rose stand-up to camera. Talks about there being more police per head of population than in the US but don't have the emphasis on pubic health. Shows street scenes, cars, man sweeping street. Talks about local building to improve streets (shots of men at work). 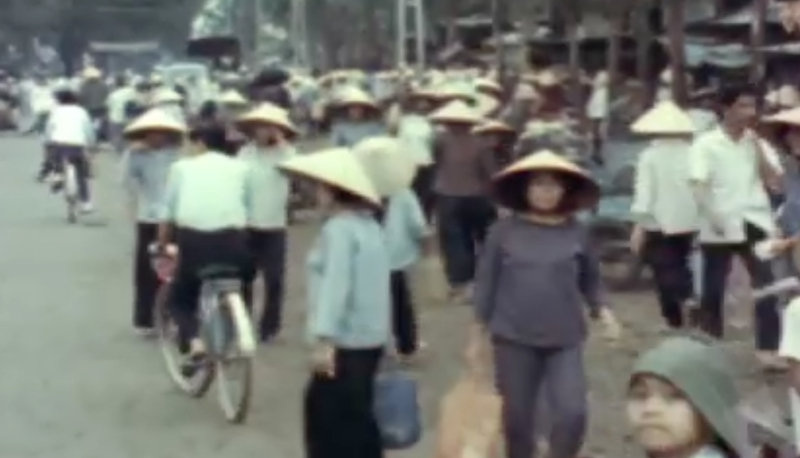 Chicago: “Vietnam: A Television History; Thomas Rose - Advisor - Da Nang - South Vietnam,” WGBH Media Library & Archives, accessed April 25, 2019, http://openvault.wgbh.org/catalog/V_B63C0DDCE5BC4D1E86A1CB1C336F5F05. MLA: “Vietnam: A Television History; Thomas Rose - Advisor - Da Nang - South Vietnam.” WGBH Media Library & Archives. Web. April 25, 2019. <http://openvault.wgbh.org/catalog/V_B63C0DDCE5BC4D1E86A1CB1C336F5F05>.